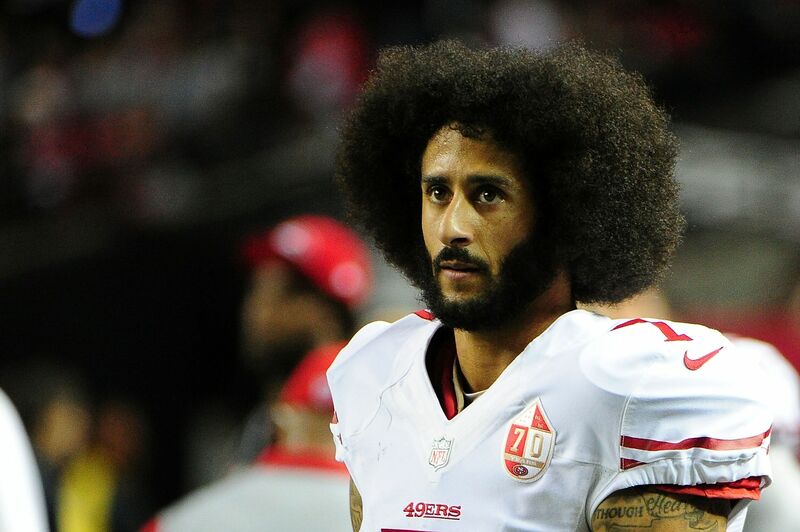 Talking to reporters on Thursday, Baltimore Ravens head coach John Harbaugh mentioned that the team wouldn’t rule out the signing of free agent quarterback Colin Kaepernick. These conversations were just a day after news broke that starting quarterback Joe Flacco would miss an indefinite period of time due to soreness in his back. Earlier Friday morning, the Ravens twitter account confirmed that the team had added another arm. However, it was not Kaepernick. The Ravens signed former Clemson and Stanford QB David Olson. Most recently, Olson was playing for the Kansas City Fantoms. The Fantoms are part of the Champions Indoor Football League, a second-tier league to the Arena Football League. All this being said, don’t rule out the possibility of Baltimore brining in Kaepernick as well. NFL Network’s Mike Silver said Friday that the signing of Olson “certainly wouldn’t preclude them from signing Colin Kaepernick.” When Flacco became sidelined earlier this week, the only remaining quarterbacks on the roster were Ryan Mallett and Dustin Vaughan. In Friday’s practice, Mallett was a downright monstrosity. ESPN Staff Writer Jamison Hensley, who was at Ravens practice, reported that Mallett “looked awful.” He was intercepted five times and nearly picked off two more. Mallett reportedly had a breakdown, throwing his towel in the air while being chirped at by Terrell Suggs. Kaepernick is certainly a polarizing topic among NFL circles. However, it’s hard to imagine him being a worse replacement for Joe Flacco. Currently, Flacco is expected to miss 3-6 weeks with his back issue. However, back issues in quarterbacks, especially aging veterans, is a tricky issue. Remember that back injuries caused Tony Romo’s problems that eventually led to his retirement. We have seen the ceiling of Ryan Mallett. We have also seen the ceiling of Colin Kaepernick. One of them has played for a Super Bowl. Having a backup quarterback who you need to tailor your offense to certainly isn’t ideal, but it may be a prudent move for Baltimore if they expect Flacco to miss significant time.